Tag Galaxy is a Flash-based app for gathering together Flickr images based on a descriptive tag. 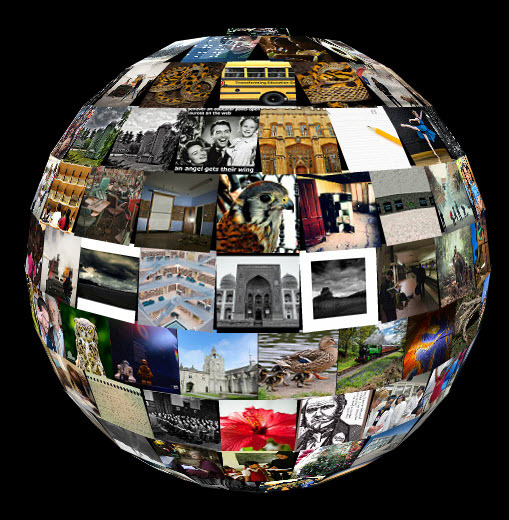 Upon entering a tag, the app aggregates all images found within the Flickr database based on the tag and assembles the images into a globe. The globe can be rotated to view thumbnail images. Images can be enlarged by clicking the thumbnail. Back at the main screen, topic subsets rotate around the central search term as “planets”. 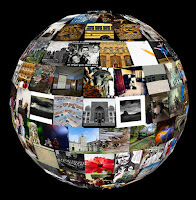 Clicking a planet creates a globe filled with up to 234 thumbnail images. 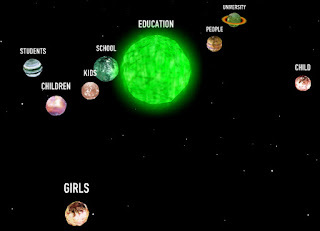 The user advances through all images using navigation arrows. 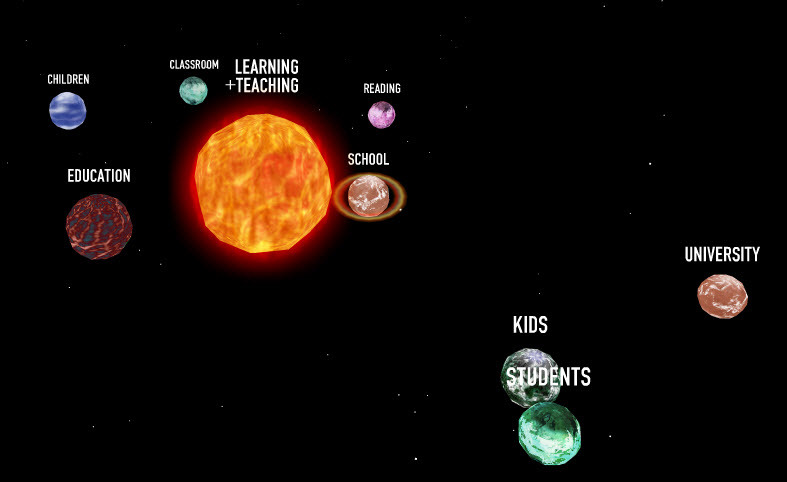 For example, after typing in the term “education”, the screen populates with a central planet representing the search term. The central planet also has several orbiting planets that represent subcategories including (for this example): school, university, students, and so forth. Clicking either the central core or any of the rotating planets will bring you the related images. Image results are shareable in a number of ways including, Twitter, Facebook, and email. Results can also be saved for later viewing. No way of filtering results for irrelevant or inappropriate content. A free, simple, and fun way for creating an active learning environment using specific topics.